It seems that maps have been getting a fair amount of press lately. Given that, I thought I'd devote a post to maps, the people who make them, and how you can make your own. That said, I have missed large swatches of cartographers and useful map sites simply because I don't know about them. If you have experience with other mapping resources, please comment or drop me a line and let me know the best links I missed. If I get enough responses, I'll post a follow-up or a consolidated full update to handle the additions. If you need a map for a project, don't hesitate to send an inquiry for a rate sheet to anyone linked here, especially when we get down into the list of Patreon campaigns. The worst they'll say is "No", and you may get a great map out of it, or possibly start growing a great business relationship. The Map of Native American Tribes You've Never Seen Before from NPR gives us a map of the indigenous tribes of North America before the European boats showed up. This seems to be a popular subject, since I also saw Another Native American Tribe Map shared on G+ by T to the E to the O. The Roads Around Late-18th-Century London, Mapped in Close-Up Detail as published on Slate shows us a view of the world particularly interesting to travelers. If you're thinking of a different kind of map, consider a strip map, showing only the relevant details for a particular route. This approach reminds me of script sides in the theater world, where you only have your lines and the cues before and after. If all the merchant caravan knows is roads, then this style of map may be all they work with. Maps at the National Monuments Record of Wales as seen on Heritage of Wales News shows several views of relevant monuments in Wales. Thanks to Matt Jackson for originally posting about this one. WWI Trench Maps and Aerial Photographs from McMaster University will make your Great War game come alive. The engineering involved is enough to blow my mind, never mind the people keeping meticulous maps of every tunnel and trench. Thanks again to Matt Jackson for posting. Regional names for wood lice. 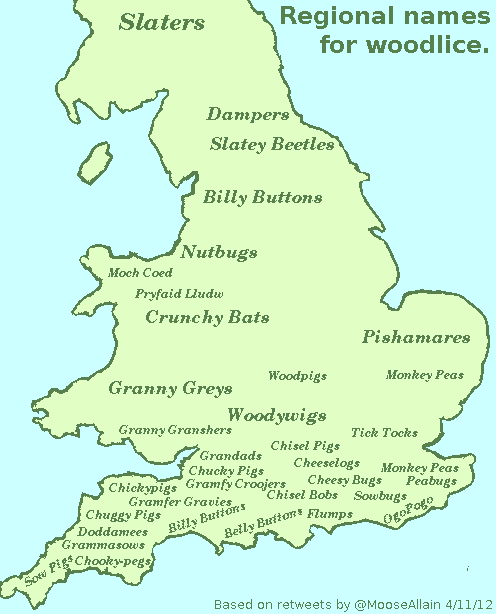 A Map Showing Regional Names for Wood Lice provides justification for changing the name of common things, even from one town to another. Sure, we're all speaking Common, but what the heck do you mean when you say "Flump"? Are you trying to say "Nutbugs"? Old Maps Online is a searchable database of old maps from several sources, including this 1852 map of the Boston Water Works as shared by Harvard University Library, and this 1635 Plan of Boston by George Lamb, as shared by the Leventhal Map Center at the Boston Public Library. (Added 02Sep15) The Theban Mapping Project collects maps, photos, and diagrams from various sites in the Valley of the Kings. If you're into ancient Egypt, this particular rabbit hole will keep you occupied for a while. (Added 06Nov15) New York Public Library Puts 20,000 Hi-Res Maps Online & Makes Them Free to Download and Use. Awesome. They have some very cool historic maps, which should spark your imagination on styles if not content. (Added 06Nov15) Nearly Every USGS Topo Map Ever Made. For Free. Double awesome, because sometimes you just want to see elevation lines to tell how high you need to climb to reach the unspeakable horror's cave. And in a related article, here's How to Add USGS Topographic Maps to Google Earth. (Added 06Nov15) A Matter of Perspective gives us a look at the linearized shoreline of Lake Michigan, which shows us distance and detail from a whole new angle. It goes into some detail about design decisions and the actual process of making the map, including dealing with distortion. Fascinating. (Added 06Nov15) When "North" Isn't Actually North: Geocentric Direction Systems. The concepts here are directly applicable in low technology settings. Why be a slave to your compass, when you can navigate relative to the big volcano in the center of the island, or Uptown/Downtown like in Manhattan? It's definitely another perspective to take when making maps rather than leaning on the compass rose. Map of Laelith, a detailed city map shared by Gerhardt Sildoenfein, originally published in the French gaming magazine Casus Belli in February 1993. A progress update on the Poseidon Islands Map from Deven Rue of RueInk.com gives us a view of an island chain map in progress. Great work! A Cartography Collection Showreel from Josephe Vandel details several maps from his Patreon campaign and other sources. I really like the look of these world maps. The City of Andrassos: Region Maps of the City, published on Tales of Hrimgate, shows us partial maps of a fantasy city. The coloring of each region makes the city sections pop, and it gives me a great sense of how these maps fit together. Revoca Canton Map, published at Dungeon of Signs, contains a handmade de-hexed version of a publisher-provided area map. Billiam Babble has some great Science Fiction Ship Maps like this one available for download. He also produces and sells other maps through his company Inked Adventures. A Google Maps Easter Egg Lets You Explore the TARDIS, originally spotted at TechCrunch does exactly what it says on the tin. Click this Google Maps link and move the mouse around until you see the diagonal arrow pointing toward the door of the police box. Click to enter, then give yourself about 20 minutes to poke around. (Added 06Nov15) The Rustic Residence from 2 Minute Tabletop is a great-looking free modular building map that you can download and print for use as a tabletop battle map, or you can use it directly in Roll20. There's a whole series of maps to explore and mash together, and most of them are free to download and use. Jonathan Roberts of Fantastic Maps publishes several tutorials on mapmaking, including: How to Design a Town, How to Draw a Cave, How to Draw, Shade, and Colour a Mountain Range, and How to Use Hatching to Show Elevation on a Map. Take a look at all the Other tutorials for a full view of what's available. Also check out some of the maps made with his Fantastic Mapper web app, currently being designed and tested, posted under the hashtag #HexAllTheThings. (Added 02Sep15) Yep, I missed a gold mine. Michael Wenman of Vulpinoid Studios put together an extensive collection of map tutorials on his blog Observations of the Fox. Whether you want to draw villages, ships, or dungeons, or work on techniques like hatching, cross sections, or isometric views, these tutorials have you covered so you can Vulpinize your maps. So much to learn! And I'm sorry I missed this on the first pass, but like I said, it's a question of what I missed and not if I missed. Learn to Draw World Maps from One of D&D's Best Cartographers, originally spotted on Polygon. This article gives a great overview of Jared Blando's new book, How to Draw Fantasy Art and RPG Maps, which releases today (01 September 2015). How I Make City Maps at Blue Boxer Rebellion looks at how to link places together when you're creating a map more than the actual mechanics of drawing the map itself, but the article features an excellent city map that was built using this method. 10 Rules for Making Better Fantasy Maps at io9 gets into choices you make that impacts how your map turns out. I especially like numbers 9 and 10, get feedback and take your time respectively. 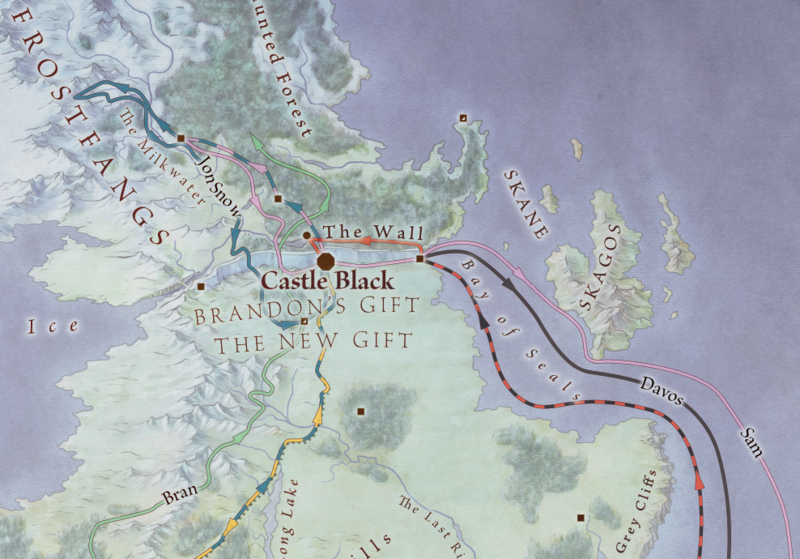 How to Make a Fantasy World Map at Tor.com lets Isaac Stewart tell the tale of designing the map for Brian Staveley's debut fantasy novel The Emperor's Blades. Questing Beast: Quest Atlas mapping tutorials on YouTube is a series of short videos detailing specific mapping techniques. I need to set aside some time to watch these. Here's the original G+ post detailing the Dellorfano Protocols, a method of creating a random dungeon map from the mind of Stacy Dellorfano. Many of the dungeons created with these protocols or variations thereof are shared in Stacy's Swords & Wizardry Collection. NOTE: I can't afford to support everyone listed here at the moment, and I don't have direct experience with all of these Patreon campaigns nor their creators. Caveat Emptor. Arlin Ortiz - Primarily produces Monster Pamphlets, but has dungeon maps as the next milestone goal. I really like the artistic style of the demo maps. Dyson Logos - Dyson is a professional cartographer from Ottawa who is very active on G+. In my opinion, Dyson runs the gold standard of mapping Patreon campaigns, releasing roughly 10 quality maps per month. Any map supported over $300 is released for free commercial use as well. And at $450, he starts releasing one map per month from the back catalog under a free commercial license as well. I'm in for $5/month, and I encourage you to give what you can for these spectacular maps. Also keep an eye on his blog Dyson's Dodecahedron. Frank Turfler, Jr. - Offers map tiles, paper minis, and other artwork. He posts on G+, and he tends to release maps for his company's (Middle Kingdoms Adventure & Trading Company) Free Map Fridays. IER Design - Offers maps and artwork. I see very detailed maps and a few months of regular updates, though no patrons yet. Descriptions are a little wordy, though that fits with the level of detail on his maps. Worth a closer look when I have the budget. Josephe Vandel - A professional cartographer, illustrator, and photographer living in Leipzig, Josephe's maps are extremely detailed and intricate, as seen in his Cartography Showreel mentioned above. He posts regularly on G+. Kristian Richards - Exclusively produces dungeon maps, mostly in geomorph style. Every geomorph map is available from The Crooked Staff blog, including some hex maps for sale independently. Also posts on G+. Good stuff! Matt Jackson - If Dyson runs the gold standard Patreon for fantasy maps, Matt is a close silver. He puts out roughly 6 maps a month, all ready for immediate play. I especially love the starship deck plans from June and July 2015, inspired by Billiam Babble's deck plans as detailed above. He's on my short list to patronize as funds become available. Check him out on G+ and on his blog msjx.org. (Added 02Sep15) Michael Wenman - The creative force behind Vulpinoid Studios has been creating geomorph tiles since 2013, and now you can support him on a regular basis. He's an illustrator, cartographer, calligrapher, game designer, and worldbuilder out of Sydney. He's also active on G+. Also, be sure to check out his map tutorials as mentioned above. PHDnD - I see no activity here since 10 July 2015, but I may need to steal the diamond fill pattern. It's incredibly simple, but looks really funky. Questing Beast - This is the same Questing Beast with the Quest Atlas series of mapping tutorial videos mentioned above. It doesn't look like there has been much activity since June, but that may just be summer vacation. I love the look of his world maps. Simon Forster - Currently working on maps for the next Book of Lairs for the Adventurer Conqueror King System. You can see his rate sheet and a portfolio of his maps at his ...And a Sky Full of Dust site, and he's active on G+. 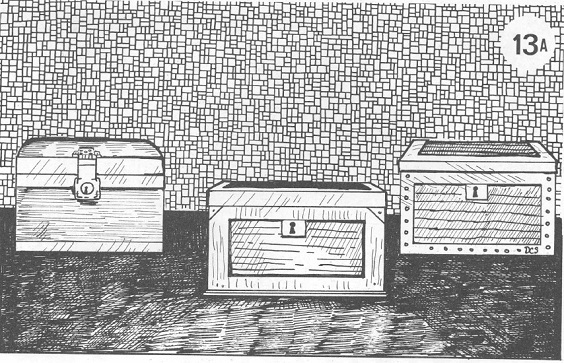 Stephanie McAlea - A professional artist and cartographer out of Cheshire, UK, she also produces RPG zines. Whether terrestrial or celestial, her maps look great. Tim Shorts - Tim releases mini-adventures with maps that are hand-drawn, hand-colored, and laminated for durability. He's one of the reasons I picked up a laminator of my own. You can read more and order his zine The Manor (Issue #8 is the latest) through Gothridge Manor. Also active on G+ and on my short list of folk to patronize. I would be remiss if I didn't mention MonkeyBlood Design. Glynn doesn't have a Patreon campaign, but his maps are among the very best in the community. He posts often on G+, regularly contributes to OSRWorld's Map Monday, and is generally a stand-up human being. Full disclosure: I edited The Demon Stones, MBD's first full-length adventure. All design, maps, art, layout, and publishing was done by Glynn himself. It has a Village of Hommlet vibe to it, with a somewhat more self-contained central story. It's statted out for Pathfinder, but other rulesets are coming soon. You want to buy this adventure and hire this man for your next project. Also check out Glynn's Neath 3D components (offered for sale, here's the PDF tutorial) for making groovy 3D maps in SketchUp. (Added 02Sep15) Pär Lindström is a freelance cartographer in Sweden. He operates Imaginary Maps, a one-man shop dedicated to mapping imaginary lands. He maintains a blog called Mapping Worlds, which offers a gallery of past creations. If you're interested in having him make a map for you, here's a page of guidelines for commissions. He also wrote up several mapping tutorials, mostly involving City Designer 3, Dungeon Designer 3, and Photoshop. The Cartographers' Guild - An excellent forum supported by a solid community featuring a wide collection of tutorials to help you fulfill your mapping ambitions. You can go down this rabbit hole for days, so be warned. Cartographer's Guild - Yes, the forum site has a G+ presence, too. 25 Quick & Dirty Map Tutorials Guide - Focuses on graphics software techniques. Map Making in Games - "Putting Your Games on the Map" indeed. Excellent. Micro Maps - For tiny maps and small scales. Also #MicroMapMonday. RPG Graphic Design - Especially the Cartography category. World Building - Check the Geography and Mapping categories. If you're looking for something a little more directly from the RPG game table, take a look at PlaGMaDA, the Play Generated Map and Document Archive. It's an archive of maps and documents created for tabletop RPGs and computer games, mostly from our dim and distant childhoods. It contains character sheets, notes, and a healthy percentage of maps. Google Maps and Google Earth - If you need something quick and dirty for the session you're running in an hour, steal something from the real world and adapt it. Rotate the map a random amount, then snag it, print it, and scribble different names on it. (Added 06Nov15) Why Are U.S. Students Bad at Geography? National Geographic asked and answered the question, then went on to include a list of resources to help teach geography. Also, Geography Awareness Week is scheduled for November 15-21, 2015. (Added 06Nov15) Apparently November is #MAPVEMBER. Make 30 maps over 30 days and post them with the tag. Make sure they're usable as is, but other than that, go to town. Like you need an excuse to make maps, but if it works for you, who am I to judge? This is an awesome list of resources, thank you very much! I'm glad you like it. Thanks for reading!